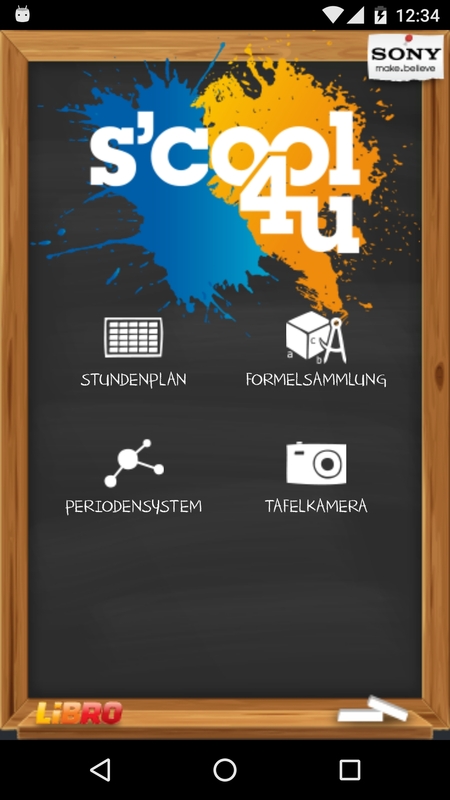 Sony S´cool4u is the perfect organizer for school. The app offers an overview of your time table and allows you to take notes for your courses so you will never forget your homework again. The blackboard camera reliefs you of the burden to write off the blackboard and allows you to browse the images sorted by cours and to send them to your frieds. 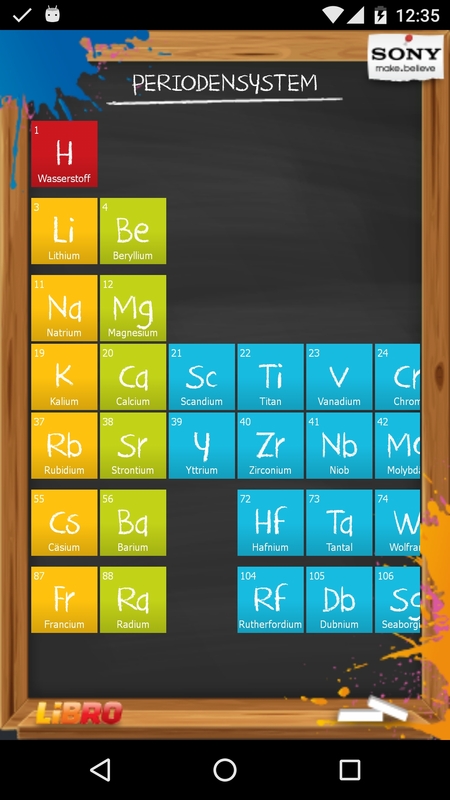 With the formulary and the periodic system of elements you have a lot of information readily available at your fingertips. In time for start of the new school year in 2013, this app was built for a school promotion by Libro in cooperation with Sony. The app had to be built in very short time and, being preinstalled on the target devices, there was no way to fix bugs after the initial deployment via updates, so the app had to be effectively bug free right from the first version. Sony S´cool4u was only available preinstalled on a special edition of the Sony Experia E which was sold in summer 2013 austria wide in all Libro stores.